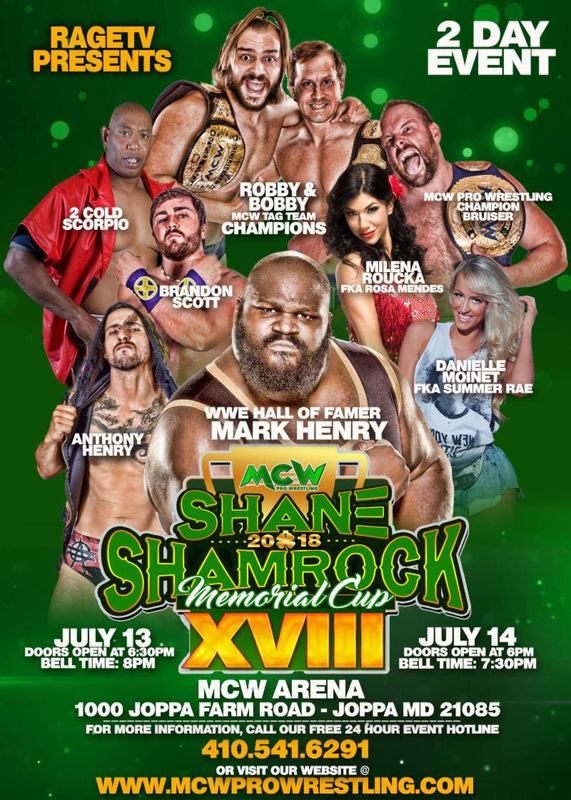 MCW's 18th Annual Shane Shamrock Memorial Cup returns July 13-14! - ECW original 2 Cold Scorpio vs. Drew Adler. - International star and former CZW World Heavyweight champion Joe Gacy vs. MCW Pro Wrestling Tag Team champion Dante Caballero. - International star Anthony Henry vs. MCW Pro Wrestling Tag Team champion Joe Keys. - Ken Dixon vs. Brandon Scott. - Kekoa vs. James Drake. - Rayo vs. John Skyler.